Root Literary is located in Los Angeles, CA. Established in 2017, this agency accepts query letters from authors of children’s and adult’s fiction and nonfiction books. 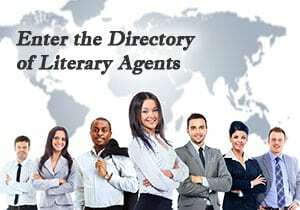 If you want to get a literary agent with Root Literary, use the List of Literary Agents in our Directory of Literary Agents™ to find out which agent is the best suited to represent your book. You should also click here to see if this agency appears on our list of Top Literary Agencies, and click here to see if any of the literary agents who work at Root Literary appear on our list of Best Literary Agents. When you enter the directory, you’ll be able to see complete profiles for every literary agent at Root Literary, and every other literary agency. Root Literary was founded by Holly Root after she launched more than a dozen books that appeared on the New York Times bestseller list. The agents of the agency benefit their clients’ with their proven skills in negotiations, identifying talent, and advocating for their books from submission to publication. They offer their authors insight into the broad-based publishing industry, and help them develop individualized strategies to define and pursue the unique path for their careers. This agency responds to every query letter that has been properly addressed and follows their submission guidelines. Queries to the Root Literary must be addressed to a specific agent, so make sure you familiarize yourself with the interests and requirements for the individual agents. They will share queries they think their fellow agents might be interested in, so a pass from one agent is a pass by all at the agency. 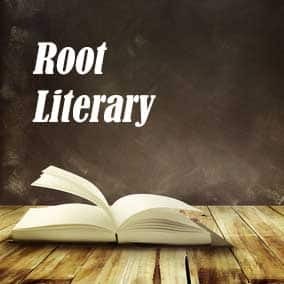 Root Literary accepts only email queries. They don’t allow authors to query via postal mail, phone, or social media. Before you query Root Literary, make sure you have the most up-to-date information by looking in our Directory of Literary Agents™. There is no charge to use the directory. It’s easy to use. And it contains detailed biographical and contact information for all literary agents. When you enter the Directory of Literary Agents™, you’ll also get free, instant access to our article and audio library with additional information to help you get a top literary agent, publisher, and book deal. Scroll below to see a sample listing and then enter the directory to see all literary agents listings for Root Literary. Before you submit a query letter to a literary agent at Root Literary, make sure the information you’re using is correct. Most literary agency directories and lists, in print and online, aren’t maintained properly. They’re incomplete, outdated, and have lots of mistakes. If you rely on those literary agency lists or directories to find literary agents with this agency or any other literary agencies, you’re going to hurt your chances of getting a book agent. Get free access now to the Directory of Literary Agents™ for the most up-to-date information and listings for all literary agents with Root Literary.